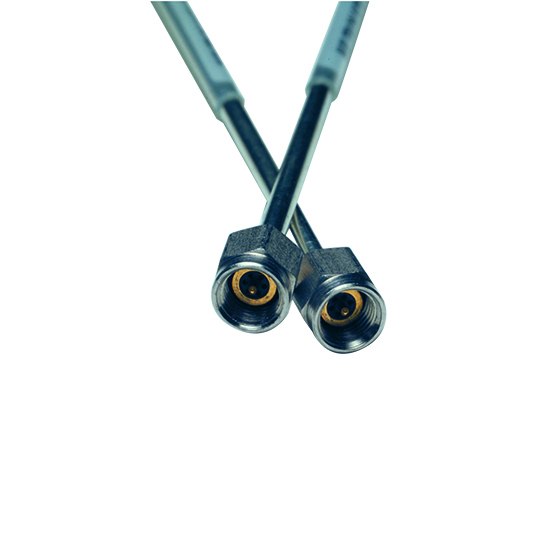 The K101M-R K male in-line cable connector is designed to install on K118 3 mm (0.118 inch) semi-rigid cable and provide excellent performance from DC to 40 GHz. A version of the connector called K101M-085 is for use with V085 2.16 mm (0.085 inch) semi-rigid cable. The female version for 3 mm cable is called K101F. - Tool 01-107M is a soldering fixture used to hold parts in place during soldering; they come in packages of 10. - The 01-118 K Connector ® Assembling Fixture Kit is a multi-purpose tool used to measure the center conductor length and install the connector bead. The K101M-R is RoHS compliant. It contains less than the Maximum Concentration Values (MCVs) for Lead, Mercury, Cadmium, Hexavalent Chromium, PBB and PBDE per EU directive 2002/95/EC. The following RoHS exemption applies: Lead as an alloying element in copper containing up to 4% (40000PPM) lead by weight.